Dr. Gardner Tarlow always appreciates feedback from his valued patients. To date, we’re thrilled to have collected 3 reviews with an average rating of 5 out of 5 stars. Please read what others are saying about Dr. Gardner Tarlow below, and as always, we would love to collect your feedback. 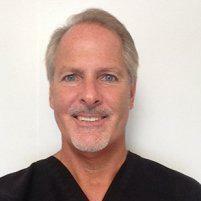 I have been seeing Dr. T for about seven years regularly and a few times when he filled in Dr. Streelman. He is very thorough, easy to talk to and explains things so that you can understand them. I would highly recommend him to anyone looking for a Family Physician. I've been seeing Dr Tarlow for almost five years now and it's always a pleasure to visit his office. His office was remodeled over the past couple of years and is very nice. The office staff is always friendly and accommodating when calling to schedule an appointment. The staff is also very organized when it comes to getting a script refilled or getting an authorization. The last time I went to a lab to have my blood taken Dr Tarlows office sent all my information to the Lab electronicly so I didn't have to tote the paperwork around with me. It's nice to see a Dr s office that keeps up with technology. A lot of Drs are "old school" when it comes to the technology. When dealing with the Dr Tarlow he always listens when discussing any issues I've ever had health wise and is always accommodating. A couple years back I had some stomach issues causing uncontrollable hiccups and Dr Tarlow was able figure out the correct solution for the problem using a combination of diet and medication. Prior to Dr Tarlow I had been to a few different Dr.s all of which had only been able to help temporarily. I still take a daily medication but no longer have any issues making life much more comfortable. Those are just a couple of my experiences with Dr Tarlow and I'm glad I made the change when I did to his office.